Buy The La Flor Dominicana TAA 2018 Golden “Oro” Anniversary Online! To commemorate the 50th Anniversary of the Tobacconists Association of America (TAA), LFD created an unparalleled smoking experience as only they could. The La Flor Dominicana TAA 2018 Golden "Oro" Anniversary was the brainchild of company owner Litto Gomez and his son Tony—released exclusively to TAA retailers in late 2018. The cigar's design came about in an unorthodox manner, with Tony sketching out his vision for the project in a text message thread. Instead of reimagining the concept for final production, the original design was implemented for final release. The cigar has the same band as the LFD Oro but features a different blend. The Golden Oro Anniversary sports a Nicaraguan sun-grown wrapper over a Dominican binder and Dominican fillers grown on the Gomez family's farms. The rich wrapper smells of aromatic cedar, leading into a palate-assaulting experience of white pepper, cedar, sweet fruits, and an earthy finish that the connoisseur will find deeply satisfying. The TAA is a group of retailers that hold themselves to a higher standard in the space of premium tobacconists. 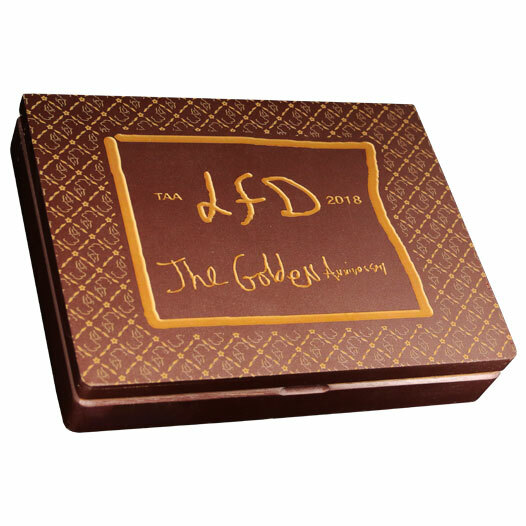 LFD has released a special cigar available ONLY to TAA-authorized stores on an annual basis. As a TAA member for many years, Smoke Inn Cigars is proud to be one of less than 100 stores worldwide to carry the La Flor Dominicana TAA 2018 Golden "Oro" Anniversary.